Say hello to the smoothest performing parallax background for WPBakery Page Builder (formerly Visual Composer). 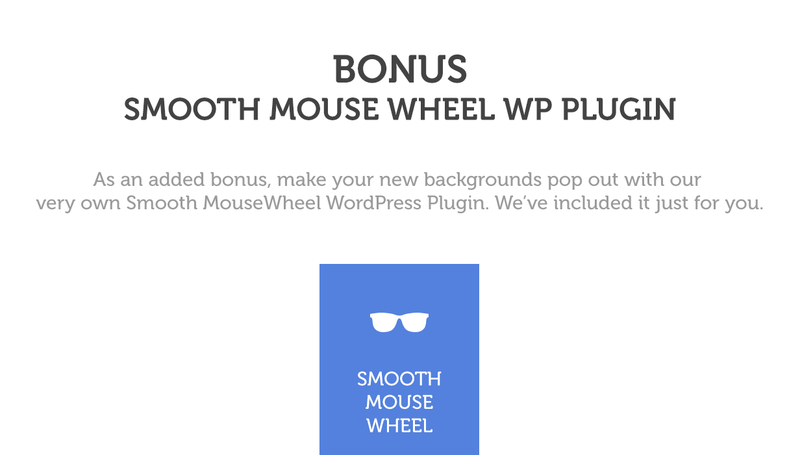 So smooth, even the top selling ThemeForest WordPress theme is using ours. Just activate the plugin into your WordPress theme and video, parallax & hover background elements will become available in your Backend WPBakery Page Builder Editor. Add these to any of your rows or inner rows. Our plugin is flexible, such that you can place multiple parallax backgrounds to get that perfect effect you are looking for. We are continuously making our plugin better and faster with each update. Now we are proud to say that we are hardware accelerated, and with little rendering repaints. This means that your parallax will scroll smoothly. Try it out in our demo site and compare our parallax against what others have. WPBakery Page Builder has recently included a parallax setting in their rows. What we have here is a solution that’s way beyond what’s provided in terms of performance and flexibility. We have over 5,000 satisfied customers and more than a year’s worth of experience enhancing and growing our tech. This plugin is the culmination of our knowledge in CSS and our plugin will continuously be updated and work better than the rest. We ourselves do not like our websites to have choppy parallaxes, we like it fast and snappy, and we’re betting you do too. We have tested & our customers have verified the compatibility with these themes below. Remember that you NEED to use WPBakery Page Builder since this is a WPBakery Page Builder addon. Lots and lots more, these are only the ones we know about! Previously, we had a compatibility mode to make the plugin work with modified copies of WPBakery Page Builder. As of version 4.0, there is no more need for it. If your theme isn’t listed above, our plugin should still work fine. If it doesn’t, write to us in support and we’ll make it work. 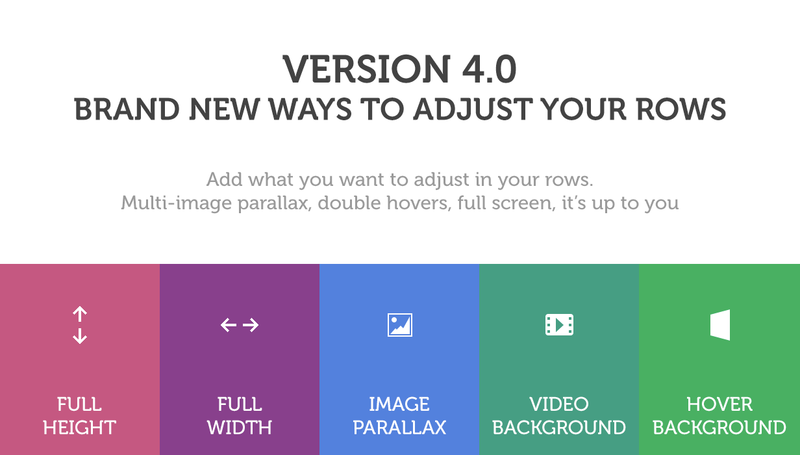 Parallax Background Is Now in the List of WPBakery Page Builder Addons! Want to Include Video & Parallax Background Images in Your ThemeForest Theme? * Fixed: Added mute=1 to Vimeo videos to enable autoplay without removing the audio track in Vimeo videos. * New: Gradient color backgrounds. * Fixed: Fluidvids div from Jetpack may cause videos to disappear from view. * Fixed: Youtube videos embedding in video backgrounds. * Fixed: Vimeo in IE and EDGE. * Fixed: Hover background behavior in IE 11 does not work as expected. * Fixed an issue in volume muting for video backgrounds where it works in YouTube but not in Vimeo. Possibly introduced during code enhancements in previous updates. * Video looping for either Vimeo or YouTube can now be controlled. It will always be enabled by default. * Fixed: Removed OTF Regenerate plugin. Download separately instead if you still need it from the WP Plugin Directory. * Enhanced: Classes and IDs can now be defined for any of the parallax elements. * Parallax now works alongside VC Row's full-height option, but we still recommend using our own full-height. * Added color background which also has the ability to allow other html elements to be animated as well, either by CSS background attribute or by CSS color. * Amended description regarding YouTube HD videos; all video quality for YouTube videos are determined by Google based on the viewer's current bandwidth. There is currently no way to force specific viewing quality at the moment, unlike in Vimeo. * OTF Regenerate Thumbnails has been removed as an embedded plugin. However, they can be re-added manually in the WordPress plugin repository. * The plugin structure changed to increase its performance. * Enhanced compatibility mode, should now support even more themes! * Vimeo videos can now be muted! * Better parallax handling in mobile devices! * Ultra Mega Super Update! 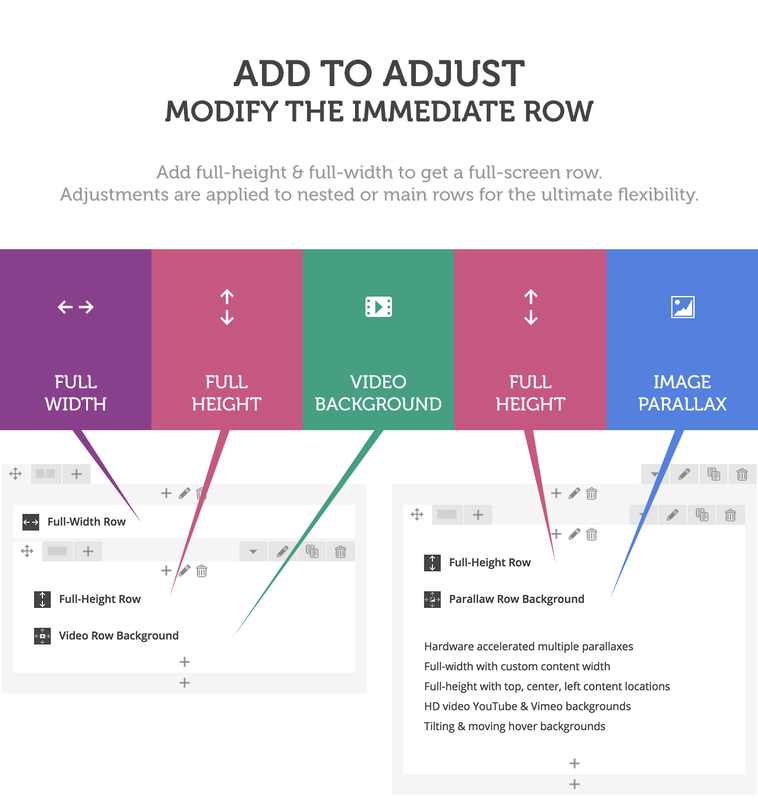 * Better video full resizing methods! Videos now preserve their aspect ratio and fit into your rows to ensure that no black bars appear! * Removed the linking capability to the next rows (this was kept before for backward compatibility for VC 3.7 or lower), now you can just nest rows to achieve the same effect. * Added the option to enable smooth page scrolling! * New feature: video backgrounds!